As we have since July 2006, each Friday we’ll post our sampling of cigar news and other items of interest from the week. Below is our latest, which is the 578th in the series. 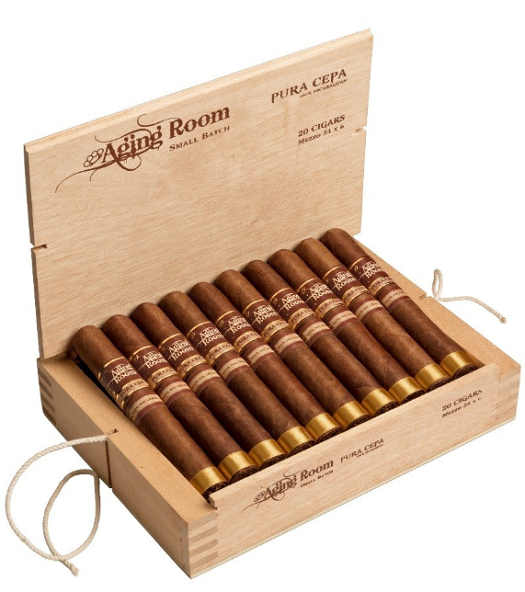 1) Altadis U.S.A. will be making the Aging Room Pura Cepa line available across all distribution channels later this month. Spanish for “pure bred,” Pura Cepa is a Nicaraguan puro created by Rafael Nodal with tobacco from Ometepe, Jalapa, Condega, and Estelí. “I wanted a world-class cigar that ideally displayed the richness Nicaraguan soils can bring to quality tobaccos,” said Nodal. “With Pura Cepa, I strived to capture the very essence of the land’s core, and deliver a Nicaraguan puro blend for today’s most discerning smokers.” Three sixes will sell in the $12.50-$13.50 range: Rondo (5 x 50), Mezzo (6 x 54), and Grande (6.5 x 56). Each will be packaged in boxes of 20. In May 2017, a “strategic alliance agreement” was struck that makes tobacco giant Altadis the distributor for Boutique Blends Cigars. As part of the agreement, Rafael Nodal accepted a position within Altadis, and the Boutique Blends brands—including Aging Room, Swag, La Bohéme, and Oliveros—are sold through Altadis. 3) Hot Dickel, anyone? George Dickel Tennessee Whisky and Tabasco have announced a collaboration. George Dickel Tabasco Brand Barrel Finish will be hitting stores soon, with 750 ml. bottles of the 70-proof product selling for $25. George Dickel Tennessee Whisky is finished in Tabasco barrels that were previously used to age hot sauce for three years. 5) From the Archives: Wonder why your morning smoke isn’t as enjoyable as you expect? It might be your toothpaste.